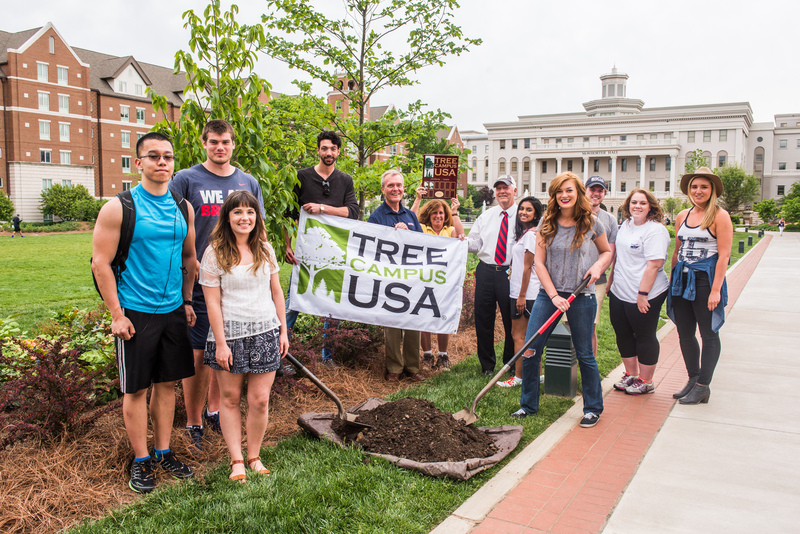 To celebrate Arbor Day 2016, Belmont University gathered a group of faculty, staff, senior administrators and students to recognize one of the University’s most recently planted trees. A Common PawPaw, the tree is native to North America and grows wild in the eastern and midwest portions of the United States. Because the tree’s foliage is the sole food source for the Zebra Swallowtail Caterpillar, butterflies are often attracted to the PawPaw. In addition to celebrating Arbor Day, the recognition ceremony was also held in honor of Belmont’s recent designation as a 2016 Tree Campus USA by the Arbor Day Foundation, the third time the University has received the honor.